Discover “La douce France”, a country created for holidays! Be it the Light City of Paris or the picturesque rural villages, hotelship Johanna brings you to all these places and more on this 14 day barge cruise. Enjoy a drink on the sundeck admiring the passing landscape while sailing to our next mooring. There your minibus is waiting for a guided tour. In the evening, savour a freshly cooked 3 course dinner with local ingredients and accompanying wines. 1 Brugge: Welcome aboard. 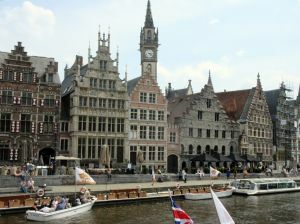 Visit the historic city center of Brugge, UNESCO world heritage. 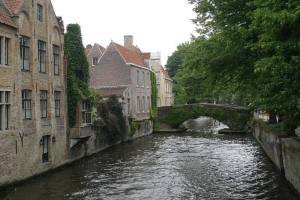 2 Deinze: Sailing along the beautiful canal to Aalter where your guide awaits you for a trip to Ghent. Visit the Saint Bavo Cathedral with the Mystic Lamb of Van Eyck and other historic sites. Return to the ship in Deinze via picturesque Sint-Martens-Lathem on the meandering Lys. 3 Menen: On the river Lys we pass trough Kortrijk and moor in the border city of Menen for the night. Day excursion to Flanders Fields. Visit of Passendale, Tyne Cot cemetary and Ypres with the Last Post ceremony at the Menin Gate. 4 Lille: We enter France into the Lille Metropole area. Sail with us on the rivers Lys and Deule and moor in the city center. The historic city of Lille is nowadays bustling with life and modern art. Morning excursion to Armentières and Fromelles (on request). 5 Douai: The river Deule brings us to the old university city of Douai with it’s famous belfry tower and carillon. Depending on your interests, we visit the WWI memorials of Vimy, or the city of Arras with the Wellington Quarry, Memorial of the Battle of Arras. Or why not visit the new Louvre museum in Lens? 6 Ruyaulcourt: Today, our barge cruises on the Canal du Nord to the tunnel entrance of Ruyaulcourt. 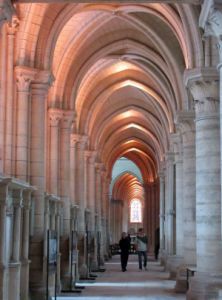 Meanwhile you visit the city of Cambrai and the Cistercian abbey of Vaucelles founded in 1132. Optional visit to the Matisse museum at Le Cateau Cambresis before returning to the ship for a hearty dinner in our quiet mooring place. 7 Péronne: After we have gone trough the tunnel of Ruyaulcourt, we reach our next port of Péronne. Visit the memorial of the Great War, explore the beautiful meandering Somme river on the afternoon excursion to Pozières, Thiepval, Villers-Bretonneux, and Amiens for evening dinner. 8 Noyon: After a short morning cruise, the afternoon excursion brings you to the hilltop city of Laon and the medieval castle of Coucy-le-Château-Auffrique before rejoining the ship in Noyon. Explore this circular town of Gallo-Roman ramparts and Medieval walls where Charlemagne was crowned, Hugo Capet was consecrated, where Louis XVI married Marie-Antoinette and where Calvin was born. 9 Compiegne: This beautiful flowered city has a rich history. Here Joan of Arc was captured by the Bourguignons on mai 23, 1430. The 1918 Armistice was signed in the woods nearby ending the first World War. The palais of Compiègne is the 3rd most important royal and imperial residence in France after Versailles and Fontainebleau. 10 St-Leu d’Esserent: From Compiegne passing trough Pont-Sainte-Maxence and Creil, your hotelship Johanna brings you to the very quiet mooring place in St-Leu d’Esserent with it’s beautiful abbey and church. 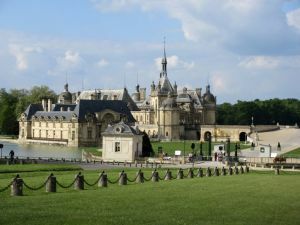 Guided excursion to nearby Chateau Chantilly with equestrian demonstration. 11 Pontoise: We sail to l’Isle-Adam where we start an excursion to the impressionist village of Auvers-sur-Oise where Vincent Van Gogh painted his last 70 works. At the local castle, we can experience the time of the impressionists. At our Pontoise mooring, you can look up at the old ramparts and the museum of the impressionist painter Pissarro. 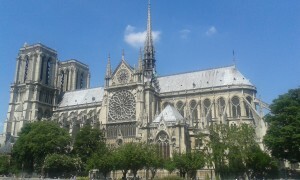 The North and South wings of the cathedral of St Maclou have been restored in 2014 and 2015 to their former beauty. 12 Bougival: Today your hotel barge cruises on the meandering river Oise from Pontoise to Conflans-Sainte-Honorine. Here we come on the river Seine which we sail upwards to Bougival on the outskirts of Paris. Visit the museum Fournaise on the Impressionists Island, or the Castle of Monte Cristo, built by the famous french writer Alexandre Dumas. 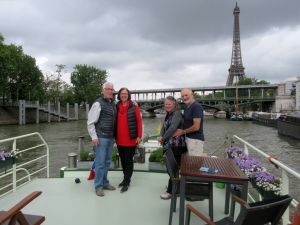 13 Paris: Entering Paris on the Seine river, we pass the Eiffel tower, Louvre, Notre Dame and the Canal St.-Martin to arrive at our mooring at the bassin de La Villette.